Melissa's sharp retro look quickly caught our attention at Pink Tartan. 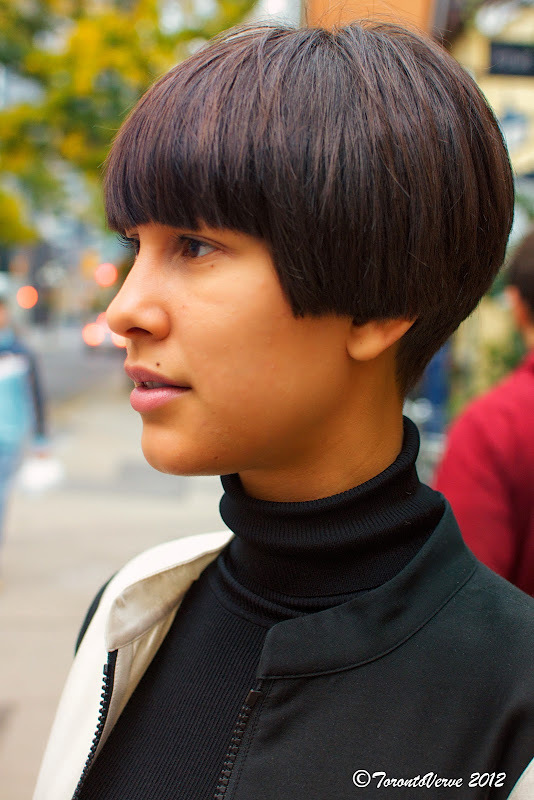 "Right now my style is very 60's mod-inspired. I love Twiggy so that's where my hair is coming from. I keep cutting it shorter and shorter. My real inspiration is Kimberly Newport-Mimran, our founder and designer at Pink Tartan. She's really done a great job of taking the 60's look and making it modern for women today." Love everything about her look - very Andre Courreges inspired! Finally, an original chic look in Toronto. Beat this New York !! Very sleek outfit. It suits her hair style and her body. I adore it on her. Surely a chic style.